Finding Kat Heckenbach: Friday Flash Fiction - "Clay's Fire"
Friday Flash Fiction - "Clay's Fire"
In honor of Friday the 13th, and to help ya start getting ready for Halloween (seven weeks away! ), I've decided to post some of my short horror stories. This one is posted on Wattpad and is my most popular story there by a wide margin. Enjoy! Clay appeared in the bedroom doorway clutching a stack of papers, a wide grin set across his face. I reached over the pillow and grabbed the remote from the nightstand. The flickering glow from the television snapped off, leaving the room in almost complete darkness. Clay walked over and turned on the small lamp clipped to the edge of the desk against the far wall. “Yeah, that’s it. Now settle in. Close your eyes.” The chair creaked with the all-too familiar sound of him leaning back. I pulled the sheets up to my shoulders and rested my head against the pillow. The last thing I saw before closing my eyes was the silhouette of the footboard that served as a wall between us. 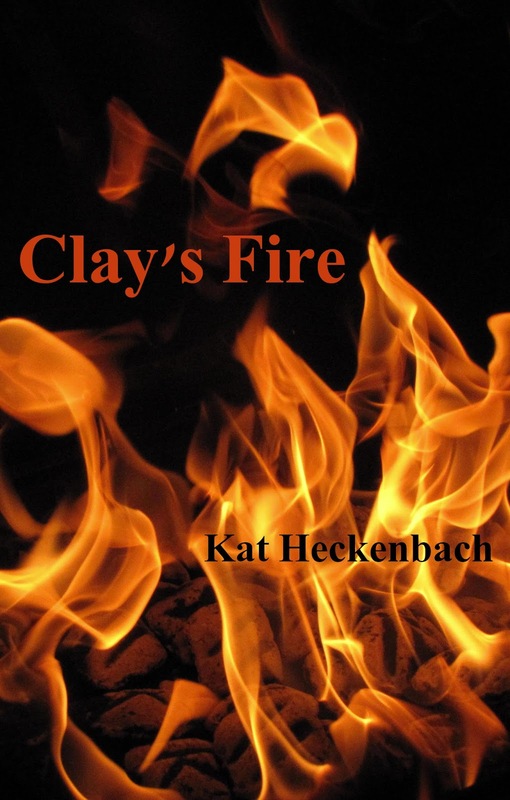 “Ready?” Clay said, his voice already deepening into the storyteller mode I fell in love with. Charles entered the convenience store at exactly seven-thirty. The clang of the bell ended abruptly when the door slammed shut behind him. The store was crowded, and Charles felt heat climb up his neck. Too many people in this small space, with its narrow aisles stuffed full of junk. Bags and boxes of chemical-laden snacks in their neat little rows along the shelves. I knew that part of the story came from Clay’s own fear of small spaces. Claustrophobia to the nth degree in his case. Our house had gobs of windows and soaring high ceilings. I felt a pang of discomfort, knowing Clay had mentally put himself in Charles’ shoes and experienced the heat and fear of the crowded and confined store, the kind of place he’d never willingly enter in real life. People milled around, avoiding each other’s eyes, as if stopping in to buy a six-pack and a bag of Fritos were some sort of conspiratorial act. Charles lowered his eyes as well, tugging at the collar of his shirt. I pulled at the sheets. Hadn’t they only been up to my shoulders? Why were they pushing against my chin? His neck was slick with perspiration, and as he stood in front of the newspaper rack, beads of sweat popped up on his forehead. He swiped his hands through his bangs, the heat from his forehead surging into his palms. “I must have a fever,” he whispered to himself.